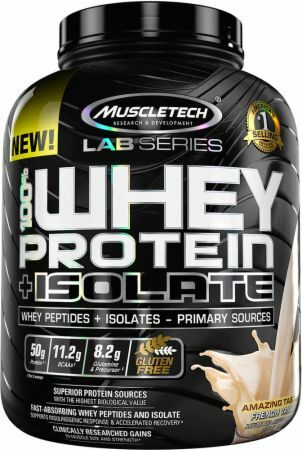 MuscleTech 100% Whey Protein +Isolate at Bodybuilding.com - Best Prices on 100% Whey Protein +Isolate! For a limited time, buy 1 100% Whey Protein + Isolate, 5 Lbs. & get 1 50% Off!